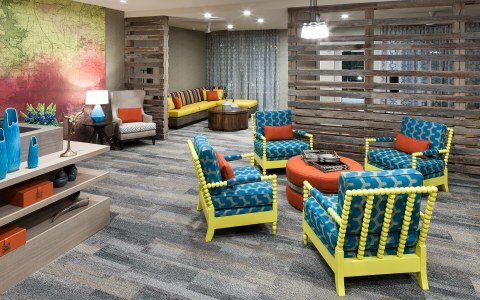 An ambitious renovation project by client OTO Development brings a new Hilton Garden Inn to downtown Annapolis MD – the first Hilton-branded property in the capital city’s central business district. 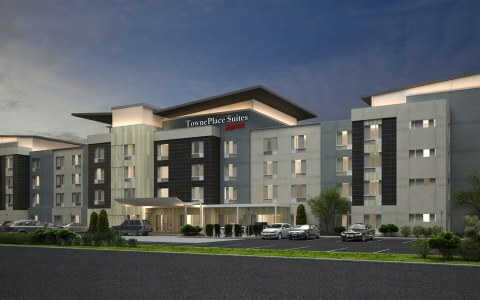 A total upfit of an existing lodging property, this brand-new hotel – with original on-property restaurant concept – adds momentum to West Street’s emergence as a cultural and culinary destination. Located at 174 West Street, this arts district hotel is within walking distance of the Maryland State House, government offices, shopping and dining – and less than a mile from the Naval Academy and Navy-Marine Corps Memorial Stadium. Guests can dine on-property at Kitchen on West St., which brings Annapolis flair to everyone’s favorite fare. Kitchen on West St. offers 1,400 sq. ft. of indoor and outdoor seating for breakfast and casual dinner, which includes a kids’ menu. The space is designed to be simultaneously trendy and cozy. 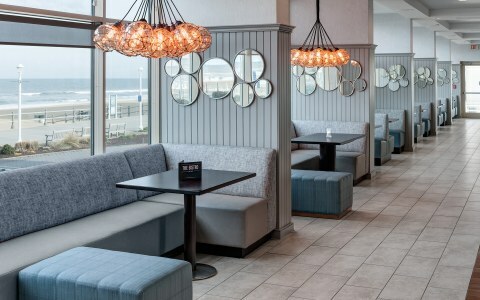 The hotel features 1,665 square feet of flexible meeting space, complimentary Wi-Fi throughout the property, and a 24/7 fitness center with cardio and strength training equipment. 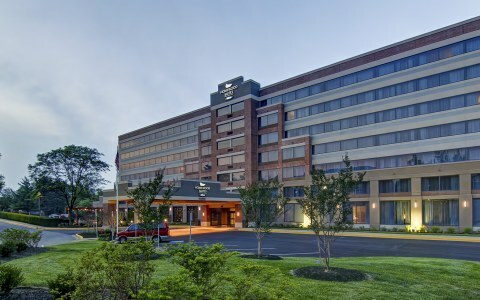 There are 121 guestrooms at Hilton Garden Inn Annapolis Downtown, including two executive suites with outdoor terraces and eight balcony rooms.